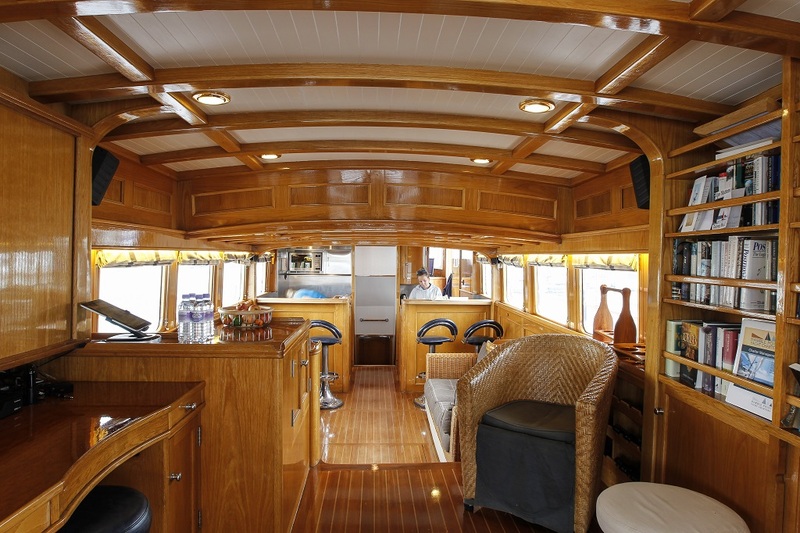 Seafin is an elegantly crafted 72ft gentleman's motor yacht, ideal for corporate or private entertaining. 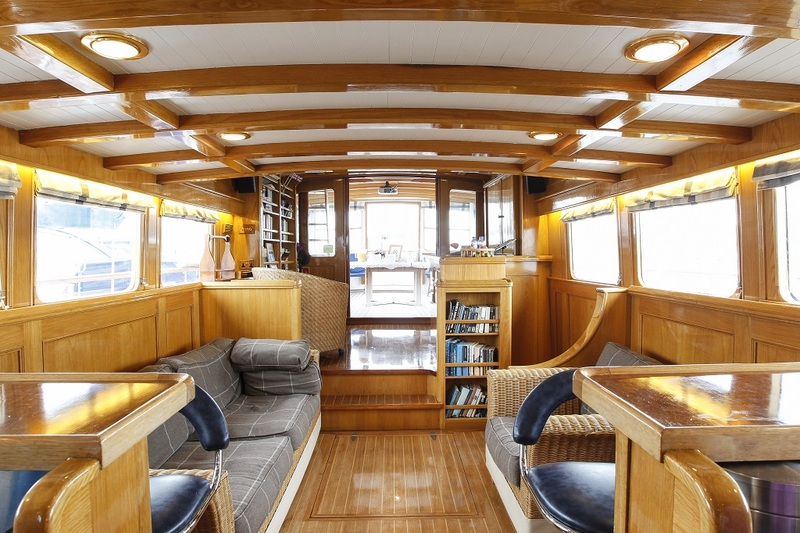 She is of wooden construction, beautifully refurbished, comfortable for up to 30 guests, with a hi-spec galley, bar, and state-of-the-art equipment from the heads to the ceiling mounted projector. 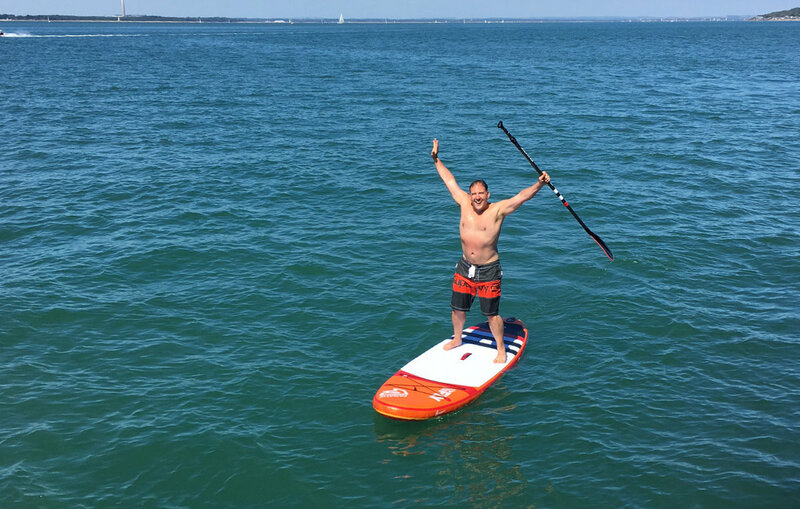 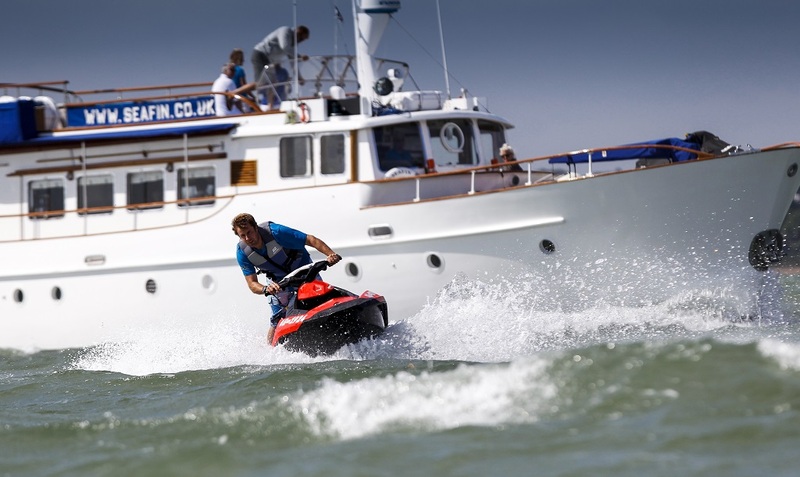 Seafin has high powered jetskis and paddleboards permanently on board. 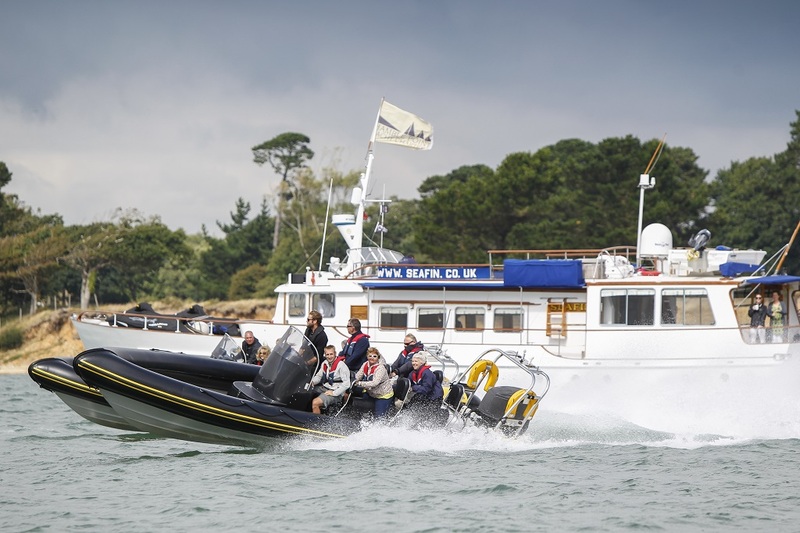 Charter rates include full catering, crew, fuel and use of the jet skis, jet Rib and other accessories that may be onboard. 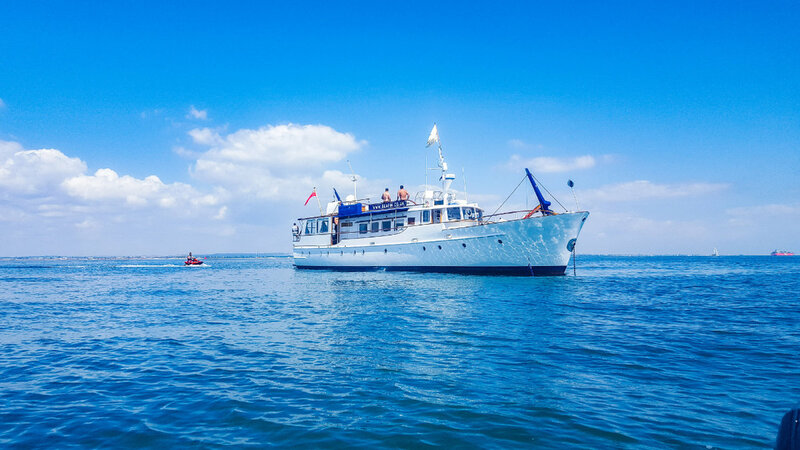 Seafin brings everyone together whether for drinks before lunch or dinner, leisurely chats on the comfortable sofas, playing on the jet skis or partying and dancing to the music. 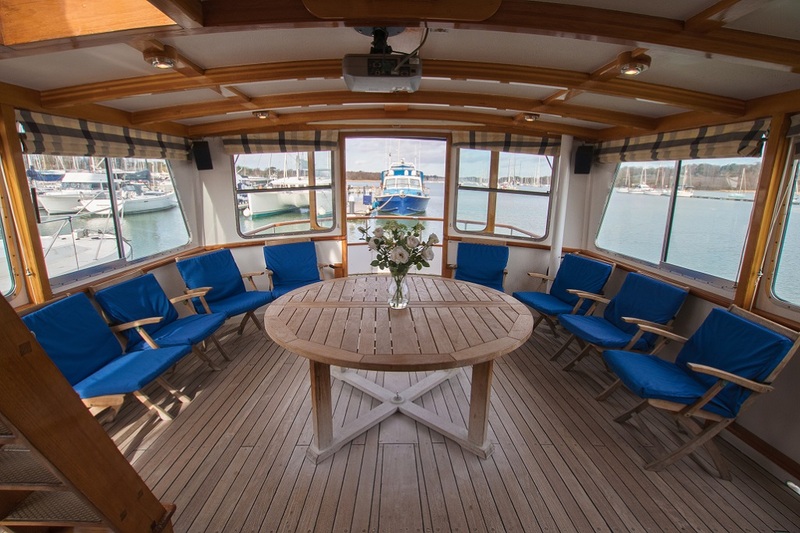 Relax on the observation deck and take in the view with the blissful prospect of just soaking up the sun in a perfect private setting. 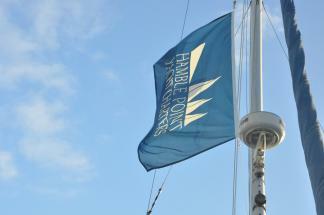 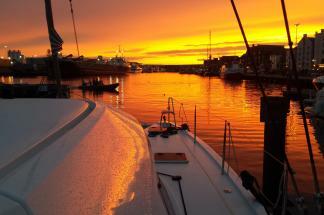 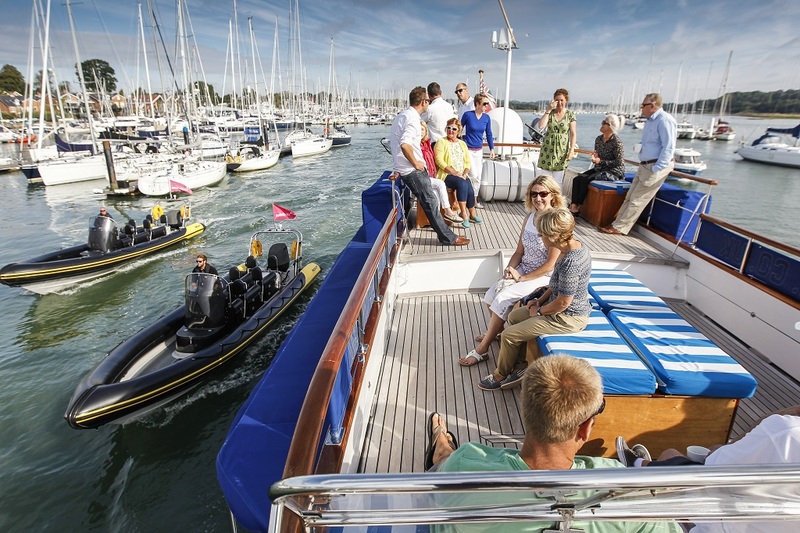 On board for breakfast from 9am and at 10:30am Seafin departs from Hamble up Southampton Water towards Cowes. 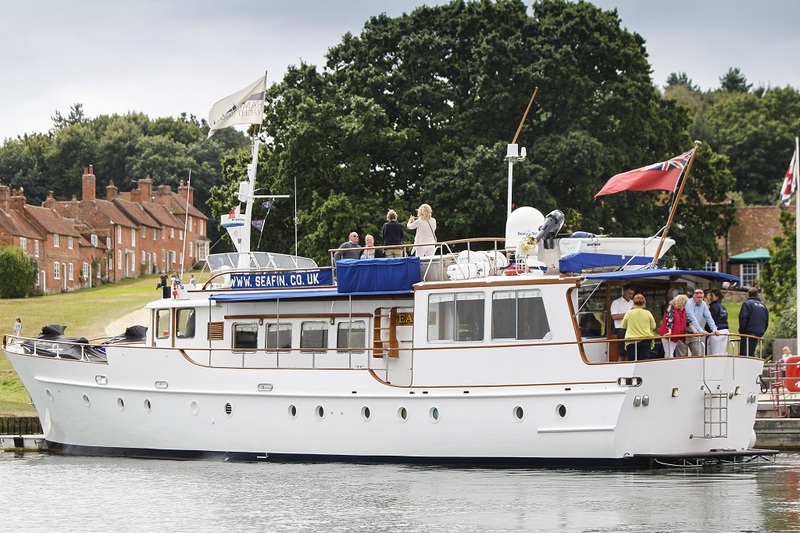 Guests disembark for a visit to the Master Builder’s House Hotel and sightseeing or they simply stay on board and relax. 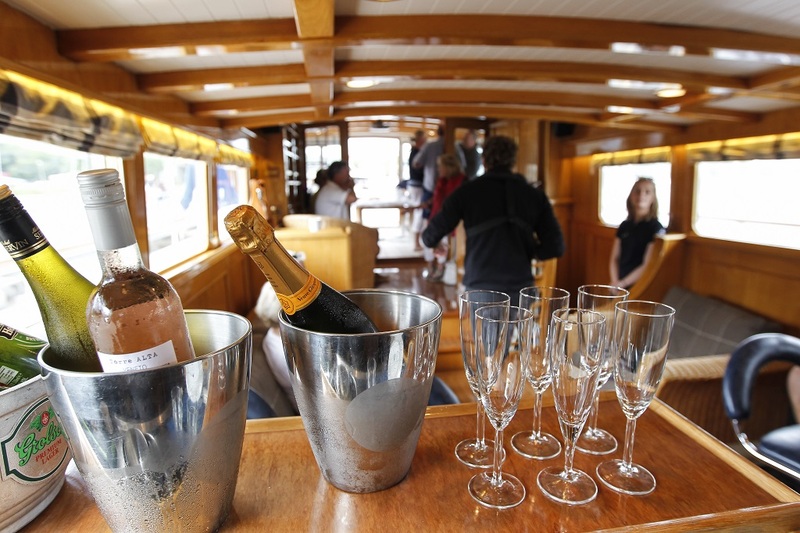 Drinks, refreshments etc are served all day and afternoon teas are served at around 4pm.